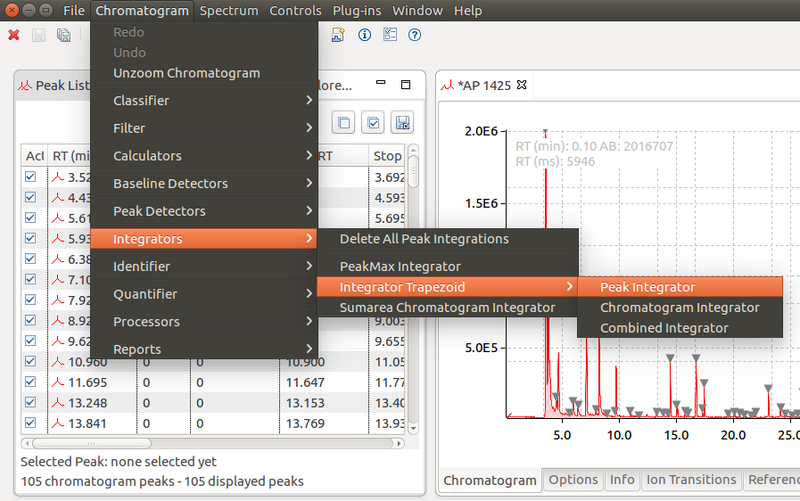 OpenChrom offers rudimental functionalities to run a principal component analysis (PCA) on chromatographic/mass spectrometric data. 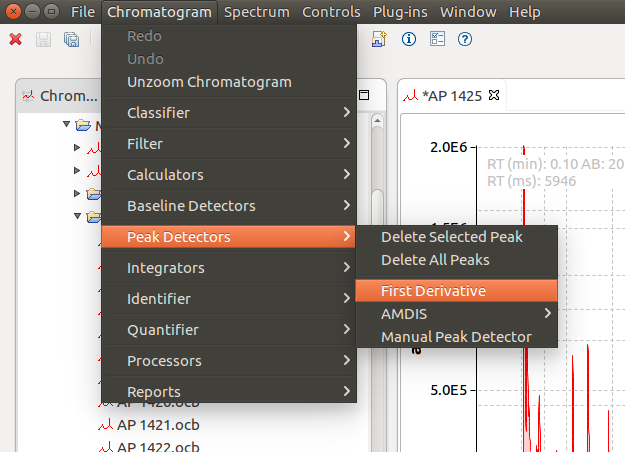 This is especially helpful when analyzing data from analytical pyrolysis (Py-GC/MS). 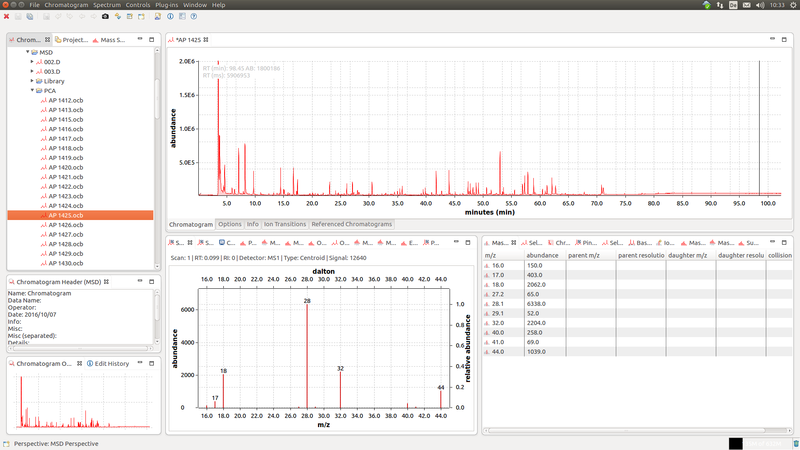 Open a GC/MS file via the “Chromatogram File Explorer (MSD)“. Save the chromatogram in the OpenChrom *.ocb format. Please repeat this step for all chromatograms you’d like to process with PCA. 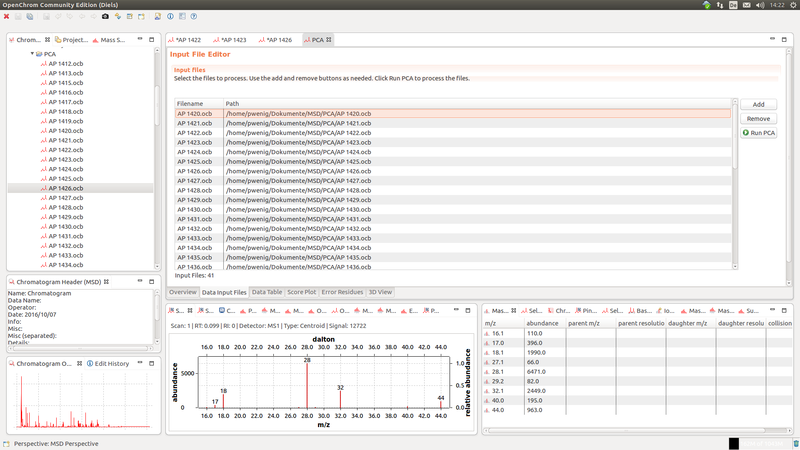 This is a tedious task, that’s why OpenChrom offers a batch process to do this automatically. After doing a peak detection and integration on all your chromatograms, you’re prepared to run the PCA analysis. 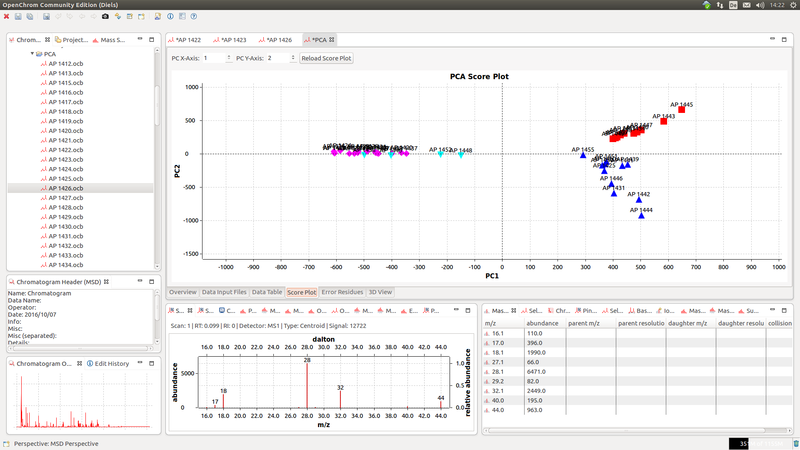 Please open the “PCA Evaluation” editor (Menu > Chromatogram > Processors > PCA Evaluation). 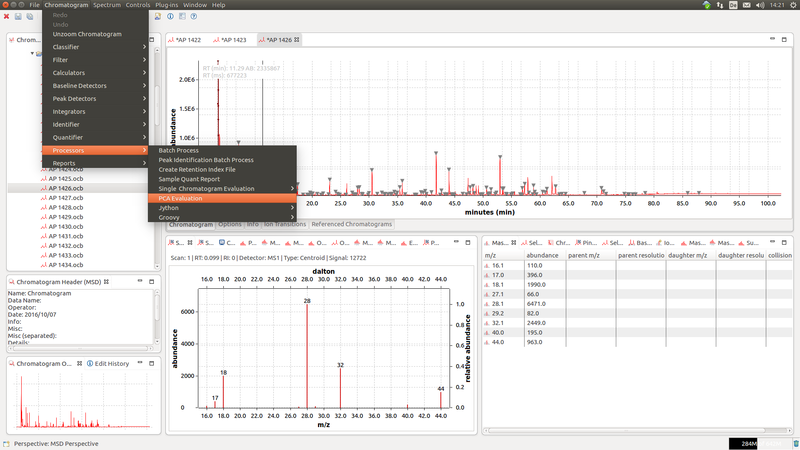 Please select the number of principle components and the time window to bin the peaks. 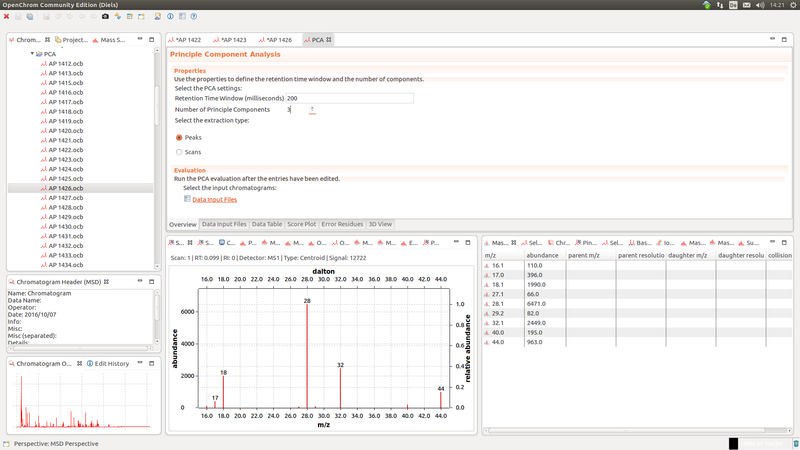 The next step is to select the chromatogram files you’ve just created. Now just press the button “Run PCA“. 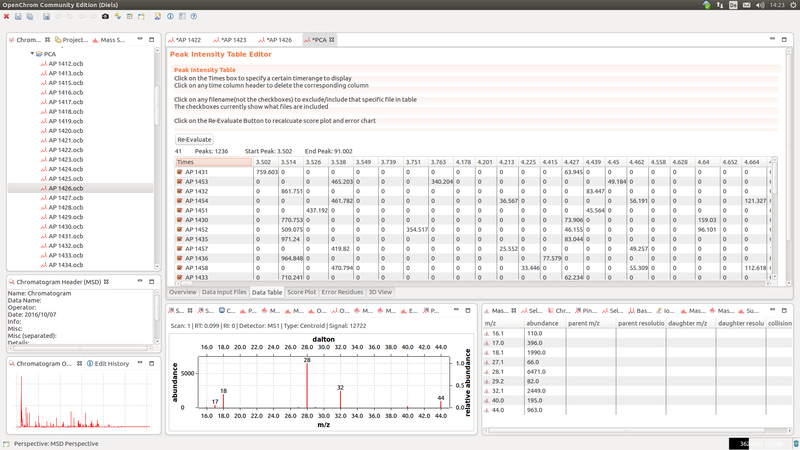 The PC1 vs. PC2 is displayed by default in the “Score Plot” tab item. The binned peaks are listed in the “Data Table” tab item.